The Tularik Alumni: Where Are They Now? Two of the biggest stories in biotech this week, Flexus Biosciences and NGM Biopharmaceuticals, had something in common. They were both led by entrepreneurs who cut their teeth years ago at Tularik. That company name from the past is dotted all over the employment histories of the people now running Flexus Biosciences and NGM Biopharmaceuticals. For those who missed it, San Carlos, Calif.-based Flexus was acquired by Bristol-Myers Squibb for $800 million upfront, plus $450 million in milestones. South San Francisco-based NGM Biopharmaceuticals opted to stay independent, but struck a partnership with Merck that provides $450 million in upfront and committed R&D funding over the next five years. David Goeddel, the legendary first scientist hired by Genentech, had his fingerprints all over both deals, as a venture investor at The Column Group, and as a member of both boards. But Goeddel didn’t create all that value himself. He co-founded Tularik in 1991, and helped create a company that attracted lots of smart, hardworking people who filled up his contact list. The company had about 300 employees when it was acquired in 2004 for $1.3 billion. Many have left over the years to populate big companies like Genentech and Gilead, as well as startups like Flexus and NGM. Subscribers to Timmerman Report can see a detailed list of where more than 150 Tularik alumni are now. Who Is Poised To Go Public in 2015, and Who Isn’t? This is the greatest bull market ever for biotech IPOs, which everyone reading this surely knows. Renaissance Capital counted 102 healthcare IPOs last year, more than one-third of all the new stock offerings in the U.S. An infusion of more than $9 billion flowed to new public companies working on drugs, devices, diagnostics, research contracts, and biological tools. The money has kept right on coming this year, as InVitae, Flex Pharma, and Spark Therapeutics have shown. Since no one knows when it will end, it’s better to ask which companies are poised to seize the day. And who isn’t ready? After talking to a bunch of market observers, I’ve put together some questions and criteria to help subscribers size up 30 different IPO contenders. This is the cold, dreary, snowy time of year when all the geeky kids in genomics flock to a remote island off the Florida Gulf Coast. The boys, and they are mostly boys, will hear a lot of marketing hype about the whiz-bang new tools being developed for biology. They’ll hear a few nitty-gritty technical talks from scientists doing exciting things with those tools, and looking to pad their CVs. And then they’ll all stay up late, spread rumors, and drink a lot of booze. Then they’ll crack jokes about how they should test their livers after imbibing said booze. Black people suffer from all kinds of health disparities compared with other racial and ethnic groups. Yet diseases that mainly hit African Americans seldom get to the top of the R&D priority list. Global Blood Therapeutics is one of the rare companies that could build a big business and put a dent in a stubborn societal problem. Before becoming a venture capitalist, Jamie Topper was a cardiologist. He hasn’t had many chances over the past decade to invest in the field he knows best. Only the deepest pockets of Big Pharma could develop successful new heart drugs. But this time, Topper sees things differently at a little company called Laguna Pharmaceuticals. People want quality biotech journalism. The response from subscribers in the first two weeks of Timmerman Report has exceeded my most optimistic expectations. This publication still has a long way to go, but I couldn’t be more encouraged. Biotech is undoubtedly one of the most volatile businesses on the planet. John Maraganore of Alnylam knows that well. John Maraganore, CEO of Alnylam Pharmaceuticals. The CEO of Alnylam Pharmaceuticals has been there for the whole classic biotech roller coaster ride. Back in the early 2000s, scientists were electrified by the possibilities to treat the untreatable with RNA interference drug technology. Then, pharma companies ran for the hills when it proved tough to deliver siRNA drugs into cells. 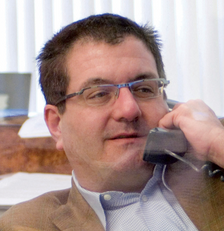 Now, after investing $75 million to $100 million a year to work through the rat’s nest of delivery issues, Alnylam is riding high again, worth nearly $8 billion. The company, with no cash-generating products on the market, nonetheless expects to end this year with a staggering $1.2 billion of cash in the bank. The next really big goal? FDA approval of its first RNAi drug. I sat down with Maraganore to talk about managing the wrenching ups and downs this week at the BIO CEO & Investor conference in New York. This was part of a series of short video interviews I conducted at the two-day conference. Intelligent MDx, the Waltham, Mass.-based maker of several molecular diagnostic tests for infectious disease that run on instruments from Abbott Laboratories, has laid off its staff and is winding down operations, the Timmerman Report has learned from sources close to the situation. One of the big bugaboos in transplant medicine is immune rejection. Whether you’re talking about bone marrow, liver, or kidneys—getting a genetic match to avoid immune rejection is generally not trivial, and it’s critical to making a transplant successful. It could get easier. There are a small number of people on earth who have the right HLA (human leukocyte antigen) genetics so their tissues can be transplanted into many others as a “partial match.” It means they can give rise to cells that carry a greatly reduced risk of rejection for many, many other people. There’s been talk of creating such a biobank of cells from broad HLA matching “superdonors” ever since induced pluripotent stem cells (iPSCs) came along a few years ago, and made it conceivable that all kinds of immune-friendly, transplant-ready cell lines could be created in labs. This sort of “off-the-shelf” line of cells for transplant would be much cheaper and more practical than creating individually customized cell therapies for each patient. Cellular Dynamics International, the Madison, Wis.-based biotech company, has kept an eye on the scientific talks. But scientists aren’t really funded or equipped to move on such a biobanking and cell therapy project. There are also tricky international politics around cell transfers, and ethical issues to consider around informed consent with donors. A few companies have shown interest, but Cellular Dynamics is just now beginning to put more time and energy into this particular application of cell therapy. With cash flow and Good Manufacturing Practices (GMP) capability from its existing service business for drugmakers, Cellular Dynamics said today it has taken a small, but not insignificant step toward making cell therapies. It has obtained and begun manufacturing two cell lines from “superdonors” that have the genetics to match 19 percent of the U.S. population. Over time, it hopes to build on that work by obtaining cell lines from 184 superdonors so that it can come up with immune-friendly cells that could be safely transplanted into 95 percent of the U.S. population. (See my related story on Forbes). There’s a long road ahead, both with preclinical work, and then clinical trials to show these cells are as good as advertised, but manufacturing them at GMP grade is an important first step. “While the rest of the world is considering it, we just started doing it,” Cellular Dynamics CEO Bob Palay said. The guy who helped popularize the gene chip is at it again. Stephen Fodor, whose work on DNA microarrays in the 1990s enabled the large-scale analysis of gene expression–the extent to which genes are turned on or off in a sample—is imaging new ways to take samples and extract more information out of them. 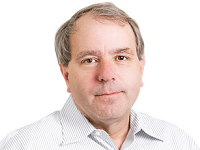 Last month, Fodor, 61, stepped down from the board of Santa Clara, Calif.-based Affymetrix. A classic Silicon Valley story, that company attracted lots of bright young scientists and businesspeople in the 1990s who learned the R&D business and went on to make an impact on many other companies. Fodor could have kicked back, especially when Affymetrix’s fortunes dimmed. Instead, he’s invested his time and money at a Palo Alto, Calif.-based startup called Cellular Research. It’s been operating in stealth mode for a couple of years, but this week had its coming-out party in a paper in Science. I spoke with Fodor to get the rundown on the company, and what kind of change it could bring to biomedical research. The following interview has been edited for length and clarity. Timmerman Report: What have you accomplished here? Why is this newsworthy to Science? Dendreon is in bankruptcy, but the people who once worked at the trailblazer of cancer immunotherapy keep finding gainful new opportunities. 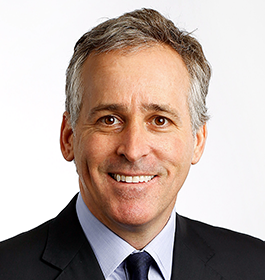 Former Dendreon CEO Mitch Gold has a new company up and running with a couple of ex-Amgen scientists. The startup, Alpine Immune Sciences, has secured $1.3 million from Gold’s Alpine Bioventures investment vehicle. News of the funding was disclosed to the Securities and Exchange Commission, and first reported by MedCity News. Christopher Boerner, the head of sales and marketing at the cancer drugmaker Seattle Genetics, has left for a big promotion to become president and U.S. head at Bristol-Myers Squibb, the Timmerman Report has learned. Ember Therapeutics, a biotech startup with big money, prominent founders, and a novel idea for fighting obesity, shut down operations a few weeks ago, the Timmerman Report has learned. One of the great talent migrations in pharmaceutical R&D history is going on right now. Merck, the drugmaker with a proud scientific tradition, has seen a huge wave of departures from its senior R&D ranks the past two years. The exodus has turned into a recruiting bonanza for a range of biotech startups, venture firms, consultancies, and competitors. The exits flung open shortly after Roger Perlmutter, the former head of R&D at Amgen, replaced Peter Kim in March 2013. Charged with boosting the productivity of a bloated group, one of the new chief’s first moves was to wipe away a three-headed management structure in each therapeutic area. He put a single person in charge of each. By October 2013, Merck formally announced it would cut 8,500 jobs companywide as part of a plan to save $2.5 billion over the coming two years. The company didn’t say how many cuts would come from R&D, or at what levels, but Perlmutter gave advance warning that “several senior positions” would be eliminated. It proved to be just the beginning. It is exciting to see the remarkable influx of capital into the biopharmaceutical industry over the past couple of years. More than just refilling depleted coffers, strategic investors are putting more money to work in excellent companies after a long period of relative scarcity. Capital can favorably change the risk profile of a biopharmaceutical company through its effective deployment in two dimensions. The first and most commonly considered, is breadth. With additional resources, companies can increase the number of research programs and drug candidates in development. That’s important in an industry where so many drug candidates fail. The second thing additional capital allows is greater depth in R&D. Welcome to a new adventure in biotech journalism.